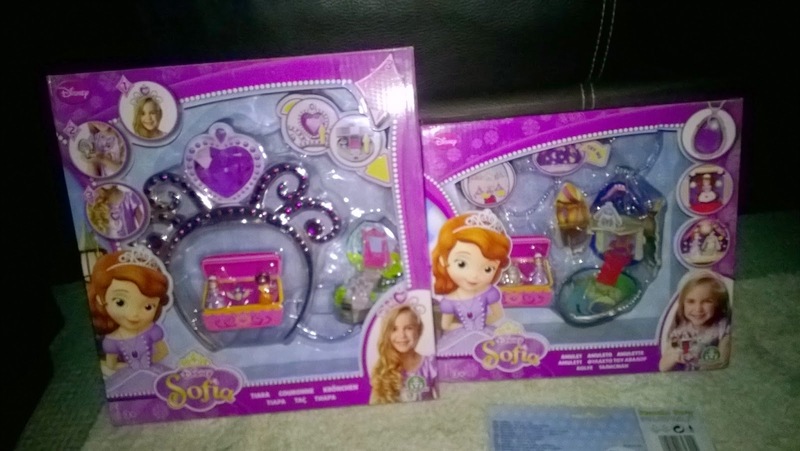 Lexie has just recently got in to Sofia The First and I know she's already saw these advertised on TV. We was very lucky to be sent these to review before our party this week. Lexie goes though stages of taking something new with her everywhere so these have been in her nursery bag all week with her. 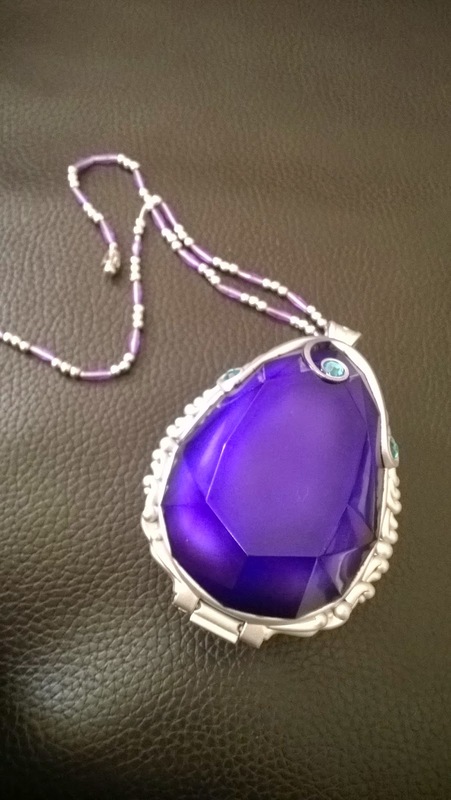 First is Sofia's purple magical amulet, the amulet is pretty big and it opens up to reveal a little lake and a boat where you can peg Sofia on and push up and down to make her move on it. 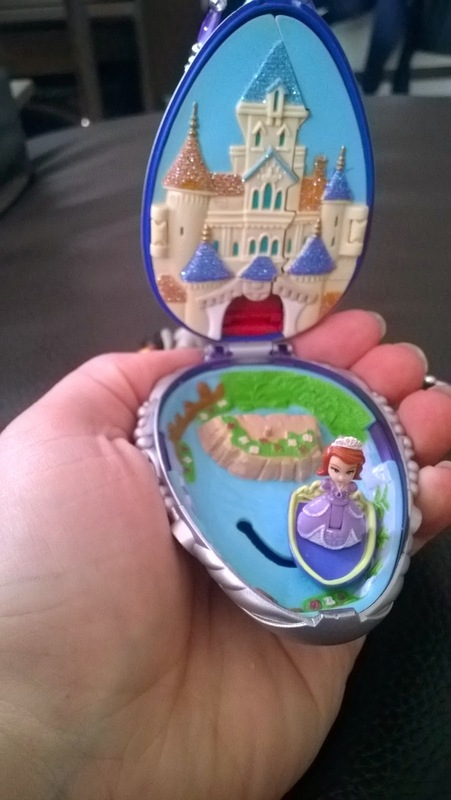 The back bit is a beautiful glittery castle (Enchanica's castle ) which you can open the doors to reveal a secret two rooms. The top is a dance floor when you can peg the figures on the dance floor then you can push the light at the back for it to light up and play music. The bottom but is a huge chair for Sofia to sit on. Lexie has found the amulet very hard to open, you really have to prise it open. It also comes with three micro characters from the series. 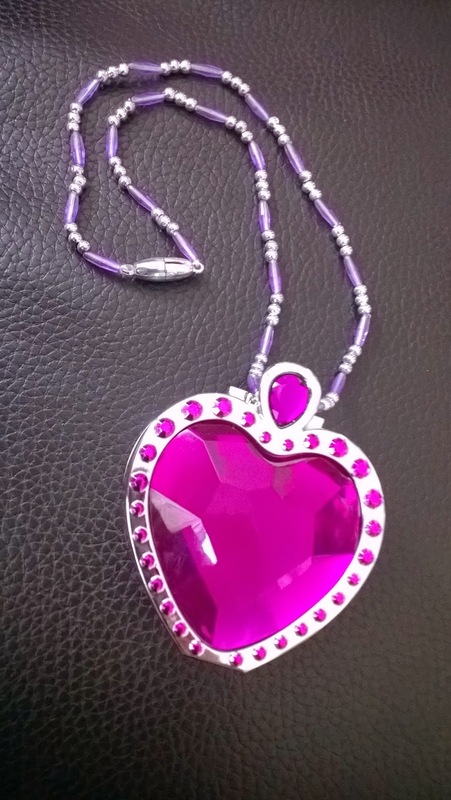 Next was the tiara, you can clip the heart on to the tiara for dressing up or have it on the chain as a pretty necklace. I love the sturdiness of the tiara it isn't cheap plastic that will break easy and fits quite well on Lexie's head. 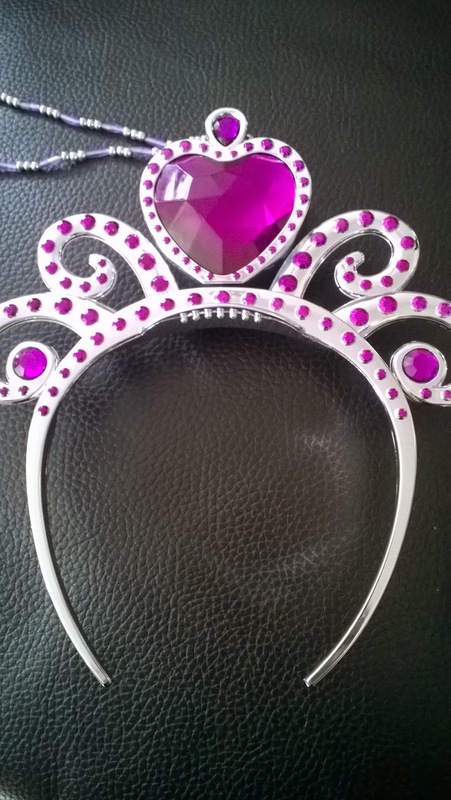 Its the exact same copy of Sofia's tiara with pretty gemstones sparkling all around. 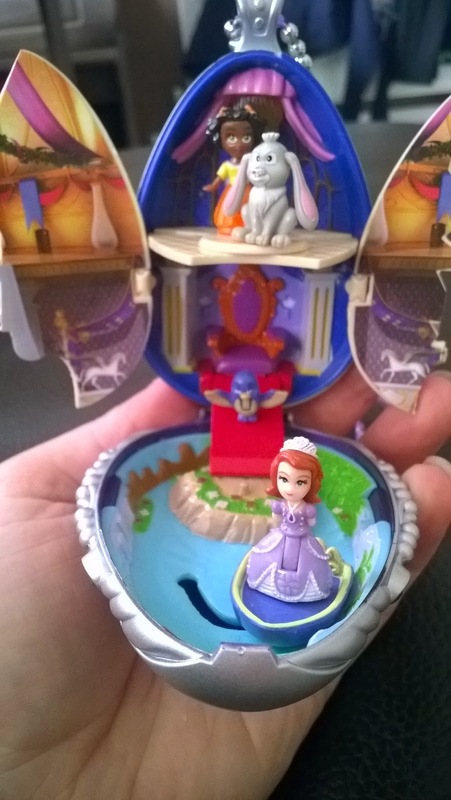 This micro set is heart shaped and once open it revels Sofia's beautiful garden. With flowing steps you can peg Sofia on or a hot pink swing that moves to and fro. I love how these are 3D , full of sparkles with lots to look at and see. This play set also comes with three little figures, so Sofia with never be lonely playing with all her friends. Lexie has loved both the Play sets and is really excited about the party this week. 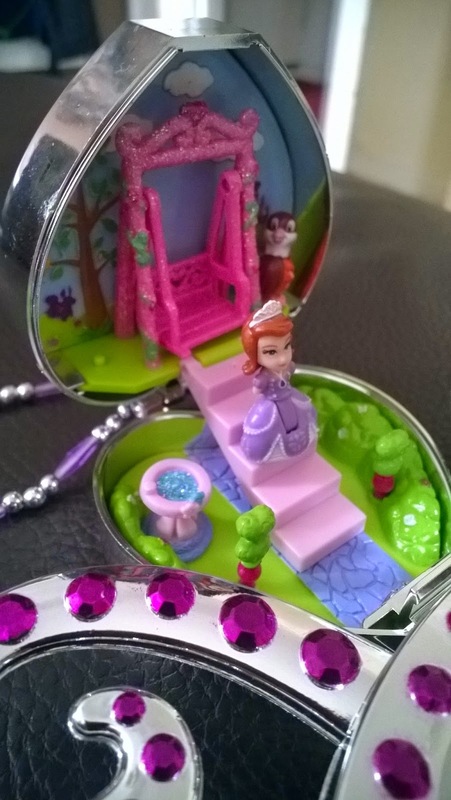 We also have been watching the new Sofia The First: Ready to be a Princess [DVD] which will be available from the 11th November. Don't forget to join us on the 18th September 4-6pm with the #sofiasmicroworld hashtag for your chance to win some Sofia prizes too. Check out DisneyJunior.co.uk for more fun Sofia activities and games until then.